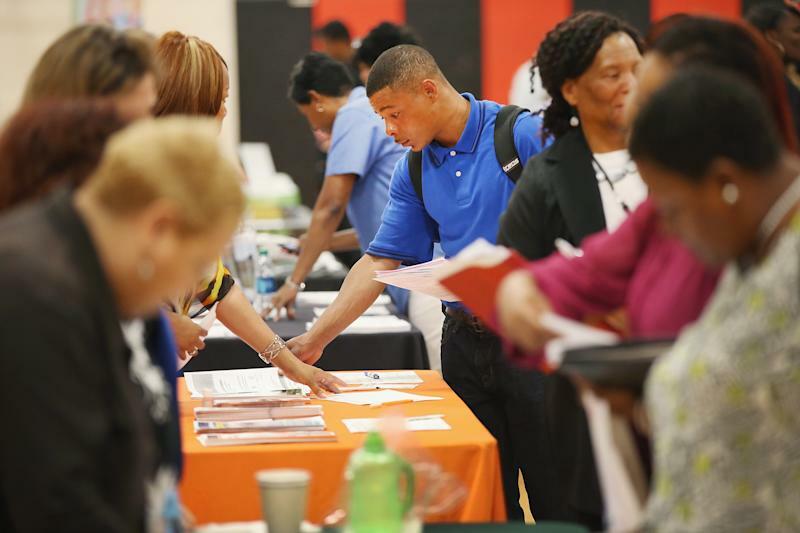 While the unemployment rate in the U.S. recently dipped below 6% for the first time since before the Great Recession, young workers are still about twice as likely as their older counterparts to wind up jobless. In September, the unemployment rate for 20- to 24-year-olds stood at 11.4%, an increase of 1% from the month prior. They were the only age group that saw their unemployment rate worsen during this period. But a new working paper published in the National Bureau of Economic Research argues that youth unemployment isn’t just evidence of a lagging economic recovery — by their very nature, young people are just more likely to bounce from job to job than their older counterparts. In the report, “What should I be when I grow up? Occupations and unemployment over the life cycle,” researchers analyzed data from the Current Population Survey and the Panel of Income Dynamics, two studies that have been collecting income and unemployment data on American workers’ incomes for decades. Based on these reports, researchers found young workers (20-24) were nearly three times as likely as workers aged 45 to 54 to leave a job within a year. They attribute this stark difference to two factors: 1) young people are more likely to “job hop” because they still haven’t found the right fit, and 2) older people, having spent their younger years job-hopping themselves, are more likely to have found a job they are committed to for the long haul and less likely to leave. Siu’s findings echo those of a 2012 report by the Department of Labor, which found that between the ages of 18 and 46, the average American will have more than 11 jobs, half of which they’ll have before they turn 25. These studies may prove that job-hopping is simply part of the fabric of career building in America, but Siu cautions against using this data to undermine the long-term effects of economic downturns on the job prospects of young people. Switching from job to job can actually benefit younger workers by helping them grow their income, try different skill sets and find their niche in the marketplace. But when people are unfortunate enough to graduate during poor economic climates, they’re much less likely to find the opportunities they need to experiment. The unemployment rate for 16- to 24-year-olds topped 18% in the summer of 2009 and underemployment remains widespread — 40% of college-educated workers are stuck in jobs that don’t require a degree. On the bright side, job prospects for young workers have vastly improved. A recent survey by Michigan State University found that employers are hiring new college graduates at a rapid clip. More than 80% of 5,000 employers surveyed said they hired at least one college graduate during the 2013-14 fiscal year. And 97% will do so in the 2014-15 year. For recession-era graduates, now may be the time to finally start catching up with the kind of experimentation that’s often required to find the right gig. The good news, Salemi says, is that employers today are beginning to get used to vetting job candidates who have shorter attention spans. Fewer young people are getting married, having kids and purchasing cars today. Without those financial pressures, young workers are looking for much more than a paycheck in their ideal workplace. In a recent survey of millennials by Clark University, nearly 80% said they’d rather enjoy their job than make a ton of money. And while 86% of millennials said they want to find a job that helps improve the world in some way, one-third said they hadn’t found it yet.